Don’t you love the painting of the Triple Crown-winning racehorse American Pharoah that adorns our invitation for this event? It’s from a painting by renowned graphic and fine artist and Kansas City native Dino Murphy. You, too, can own an original Dino Murphy, created exclusively for this year’s Derby Gala. 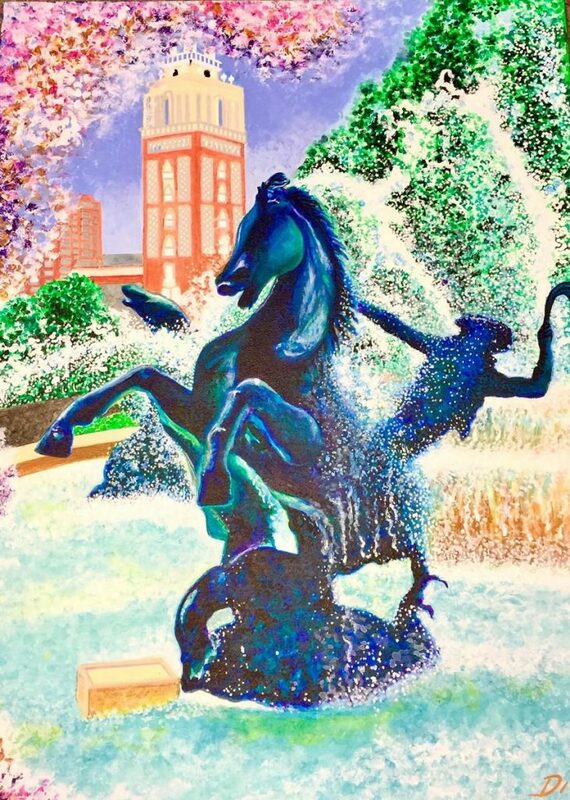 “Giddy Up” in the Mist depicts Kansas City’s famous J.C. Nichols Memorial Fountain backed by the Country Club Plaza. 18″x24″ acrylic painting on canvas.